Those familiar with the Finger Lakes of upstate New York will recognize that fictional Tompkins Falls is a blend of three lake towns: Seneca Falls, Geneva, and Canandaigua. Seneca Falls is the author’s hometown, the Birthplace of Women’s Rights, and the inspiration for the classic film It’s a Wonderful Life. Leaving aside the history and geography lessons, Tompkins Falls, the fictional setting for The Penningtons Investigate, is a small city of 20,000 residents and about 1,000 college students. Located just south of the New York State Thruway, the city is on Routes 5 & 20, midway between Geneva and Canandaigua. Flowing through the city is the Barge Canal. Before the canal swallowed it, the impressive falls of the Tompkins River supplied power to textile mills and manufacturing. The mills and factories have long since closed. The city of Tompkins Falls is at the north end of Chestnut Lake, which is named in honor of the magnificent American Chestnut tree that once graced its shores. Twenty miles long and two miles wide at its widest point, Chestnut Lake is unique among the Finger Lakes for its cluster of small, rounded islands, which locals call “the gumdrops,” in the northeast corner of the lake. Like most of the Finger Lakes, the hills surrounding Chestnut Lake are graced with farms, fields, and vineyards. Given the abundance of fresh water and vineyards, tourism is important to the economy, and wine tasting is a popular outing. Two of the founding families of Tompkins Falls were the Cushmans (financiers) and the Tompkins (industrialists). Until the millennium, neither of the two remaining scions of the founding families, Joel Tompkins Cushman or his uncle Justin Cushman, lived in Tompkins Falls. Joel returned in his twenties and revived his elegant lakeside family home as the Manse Inn and Spa. Function rooms are booked with weddings and events special to families in Tompkins Falls and surrounding towns. The Manse Grill is especially distinguished for locally sourced cuisine. 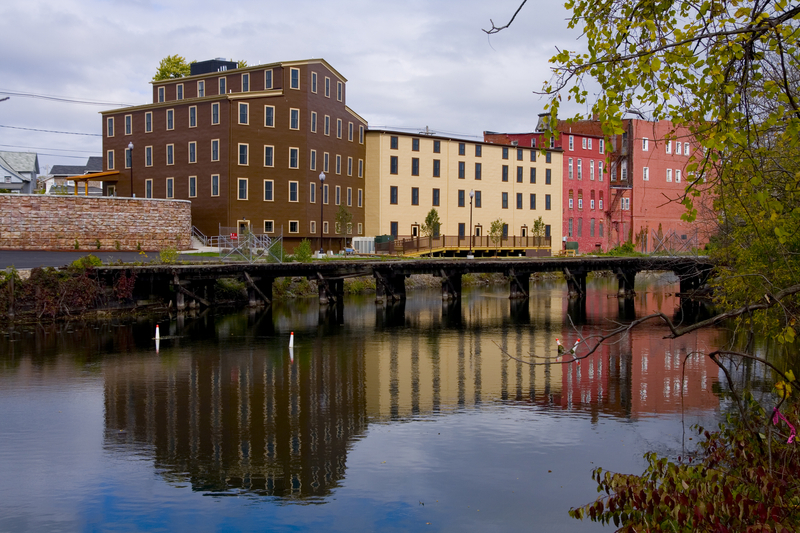 With the Manse running smoothly, Joel has established a fund for converting the abandoned mills and warehouses along River Street into multiple-use properties. The city’s major employer is Tompkins College, founded by the Tompkins family in 1874 to educate managers of industry and their secretaries. Over the decades, the college evolved into a liberal arts institution with excellence in business and management. Following WWII when the GI Bill provided tuition dollars and, subsequently, the Baby Boom supplied unprecedented numbers of students, Tompkins College grew. With prosperity, the college degenerated into a hotbed of intrigue, fueled by greed. Joel Tompkins Cushman’s return to the Board of Trustees in the early 2000s was the beginning of a turnaround for the college. Joel eventually countered the moral decline with a college-wide purge that wiped out nearly half its employees and shut down embezzlement, graft, and other abuses. Joel then asked his wealthy uncle, Justin Cushman, to return to Tompkins Falls and lead the college forward as an institution of integrity serving the new millennium. Aware that, if the college were to fail, the economy of Tompkins Falls would nosedive, Justin agreed and, soon after, assumed the role of president of the college. The murder mysteries featured in The Penningtons Investigate incorporate the continuing effort by Joel and Justin Cushman to revitalize Tompkins College and their hometown of Tompkins Falls, the beautiful city on lovely Chestnut Lake. Featured as sleuths in the Tompkins Falls Mysteries are Kyle and Lyssa Pennington. Lyssa, an economics professor at the college, is Joel’s sister-in-law. Lyssa’s husband Kyle, a native of Cornwall, UK, is Justin Cushman’s closest friend. Those interested in additional backstory of the characters and the college may enjoy the four Lakeside Porches romance novels. Written under the pen name Katie O’Boyle, the Lakeside Porches books were released by Soul Mate Publishing between 2012 and 2015. The mysteries, The Penningtons Investigate, are published by Asdee Press.